Comorbidity is, sometimes, a contradiction which results form iper-classification of pathologies and does not always represent a real aggregation of clinical entities. In the field of psychiatry it is characterized by a high percentage of comorbidity and from the same symptomatology; this often renders differential diagnosis difficoult, if not impossible. In the field of physical pathologies there is a high percentage of comorbidity and different symptoms. 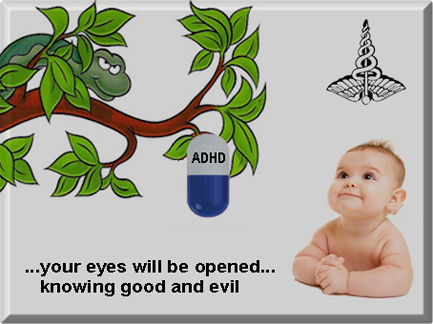 The common statement that ADHD is characterized by a deficit of sustained attention and of executive capacities, by impulsiveness and hyperactivity, is disproved by the researches here gathered, which highlight how these factors are common to a great variety of pathologies; they are variables which do not characterize any pathology, rather they appear as natural and aspecific byproducts which seriously undermine people's health. It thus follows that ADHD is a psychiatric nosology which doesn't have factors which characterize it or justify it scientifically. The classification and terms presented in this database are those employed by the DSM, out of coherence with the terminology employed by researchers, but they do not reflect my personal beliefs. The following quote is from the American Psychiatric Association's Diagnostic and Statistical Manual, Fourth Edition, Text Revision (DSM-IV-TR) published in 2000, pages 88-89. "There are no laboratory tests, neurological assessments, or attentional assessments that have been established as diagnostic in the clinical assessment of Attention-Deficit/Hyperactivity Disorder. Tests that require effortful mental processing have been noted to be abnormal in groups of individuals with Attention-deficit/Hyperactivity Disorder compared with peers, but these tests are not of demonstrated utility when one is trying to determine whether a particular individual has the disorder. It is not yet known what fundamental cognitive deficits are responsible for such group differences." 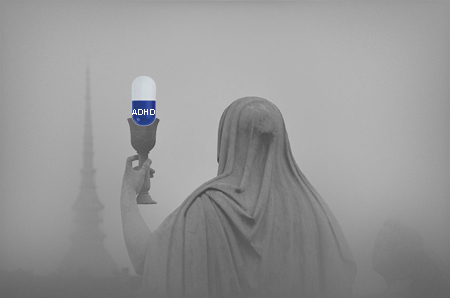 ADHD is a controversial psychiatric nosography, the experts do not agree on its existence and genetics origin. The presence of many pathologies mimicking ADHD confirm this thesis. Look at this purpose the subscriptions to "International Consensus: ADHD and abuse in the prescription of Psychopharmaceutical drugs to minors" . The directory of pathologies mimicking ADHD introduced here is not exaustive but it represents a meaningful sample.